For many observers, the first Snowden disclosures and the global scandal that followed held the promise of an upcoming rollback of the techno-legal apparatus developed by the American National Security Agency (NSA), the British Government Communications Headquarters (GCHQ) and their counterparts to intercept and analyse large portions of the world’s Internet traffic. State secrets and the “plausible deniability” doctrine often used by these secretive organisations could no longer stand in the face of such overwhelming documentation. Intelligence reform, one could then hope, would soon be put on the agenda to crack down on these undue surveillance powers and relocate surveillance within the boundaries of the rule of law. Three years later, however, what were then reasonable expectations have likely been crushed. Intelligence reform is being passed, but mainly to secure the legal basis for large-scale surveillance to a degree of detail that was hard to imagine just a few years ago. Despite an unprecedented resistance to surveillance practices developed in the shadows of the reason of state, the latter are progressively being legalised. This is the Snowden paradox. On January 21st 2015, Prime Minister Manuel Valls turned the long-awaited intelligence reform into an essential part of the government’s political response to the Paris attacks carried on earlier that month. Presenting a package of “exceptional measures” that formed part of the government’s proclaimed “general mobilization against terrorism,” Valls claimed that a new law was “necessary to strengthen the legal capacity of intelligence agencies to act” against that threat. During the expeditious parliamentary debate that ensued (April-June 2015), the Bill’s proponents never missed an opportunity to stress, as Valls did while presenting the text to the National Assembly, that the new law had “nothing to do with the practices revealed by Edward Snowden”. Political rhetoric notwithstanding, the Act’s provisions actually demonstrate how important the sort of practices revealed by Snowden have become for the geopolitical arms race in communications intelligence. The same process is happening with regards to present-day state surveillance: Large-scale collection of communications and Big Data preventive policing are becoming the “new normal.” At this point in time, it seems difficult to argue that post-Snowden contention has hindered in any significant and lasting way the formidable growth of surveillance capabilities of the world’s most powerful intelligence agencies. And yet, the jury is still out. Post-Snowden contention has documented state surveillance like never before, undermining the secrecy that surrounds deep state institutions, prevents their democratic accountability, and helps sustain taken for granted assumptions about them. It has provided fresh political and legal arguments to reclaim privacy as a “part of the common good” (Lyon 2015:9), leading courts –and in particular the ECHR– to admit several cases of historic importance which will be decided in the coming months. Judges now appear as the last institutional resort against large-scale surveillance. If litigation fails, the only possibility left for resisting it will lie in what would by then represent a most transgressive form of political action: upholding the right to encryption and anonymity, and more generally subverting the centralized and commodified technical architecture that made such surveillance possible in the first place. 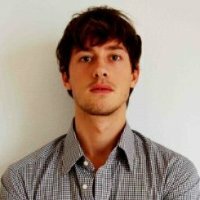 Félix Tréguer is a post-doctoral researcher at ISCC for the H2020 netCommons project on European community networks and junior researcher at CERI-Sciences Po (Paris) for the UTIC project where he works on communications surveillance by law enforcement agencies. He is also a founding member of the digital rights advocacy group La Quadrature du Net.